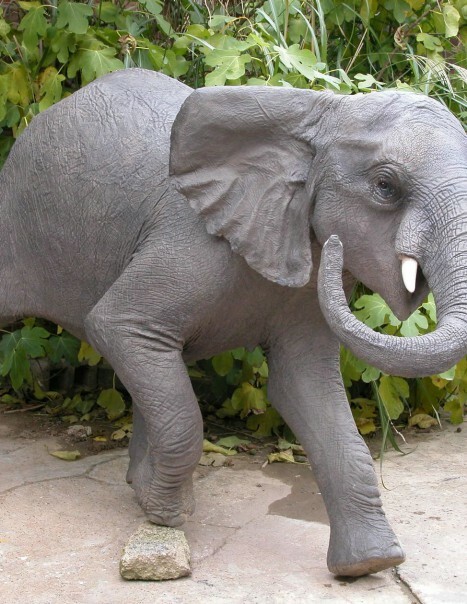 African elephants are the world’s largest terrestrial animals. Savanna elephants are larger than forest elephants and their tusks curve outwards. In addition to being smaller, forest elephants are darker and their tusks are straighter and downward pointing. There are also differences in the size and shape of the skull and skeleton between the two subspecies. The forest elephant is found in the tropical rainforest zone of west and central Africa, where remain relatively large blocks of dense forest. The savanna elephant occurs in eastern and southern Africa, with the highest densities found in Botswana, Tanzania, Zimbabwe, Kenya, Zambia and South Africa. The African savanna elephant is found throughout the grassy plains and bushlands of the continent, while the African forest elephant lives in the equatorial forests of central and western Africa. One of the notable features of elephants is its trunk, which is an extension of the upper lip and the nose. 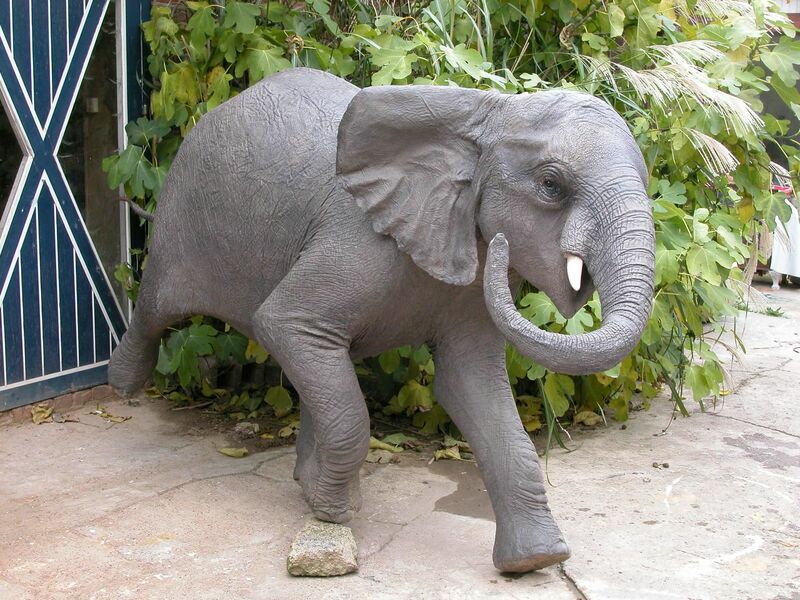 Their trunk is used for communication and handling objects including food. African elephants have 2 opposing extensions at its end, in contrast to the Asian elephant which only has one. They have also very large ears which are used to radiate excess heat. Elephants (male and female) have also 2 tusks that grow throughout their lifetime. They use them to fight, feed, dig and mark. Elephants live up to around 70 years.